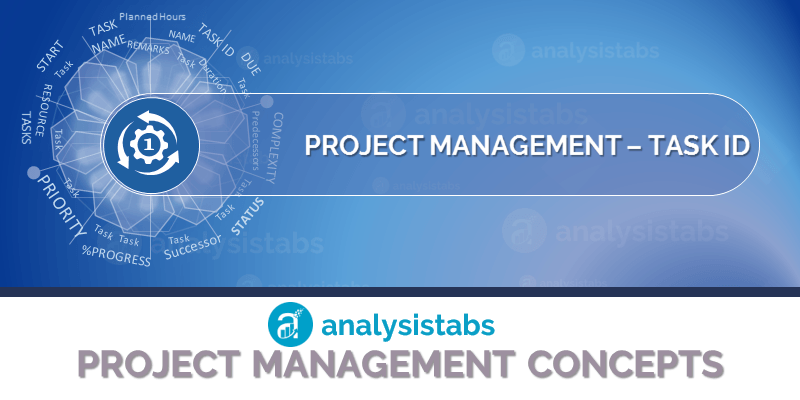 Task ID Field in Project Plan Template - ANALYSISTABS - Innovating Awesome Tools for Data Analysis! Task ID is a sequential number and unique identifier of a Task. This helps to quickly refer a Task. Task Number is a sequential number of the task created order. Task ID is a required field and it is generally a numeric data type Field, in some cases it prefixes or suffixes with a text. This helps to quickly identify the category of the task. We can use Task ID to Filter the data. Fetch the required number from a position. For Example, we get Latest 10 Tasks or Oldest 100 Records. We can use Task Id in the Programming to set up Predecessors or dependencies. TASK ID helps to find the number of Sub tasks under a Milestone. We can calculate Number of Tasks, and aggregates under a project Milestone, Phase or Main Task or a Parent Task.